View from the Domestic Church: A Whirlwind of Activity in Cincinnati! 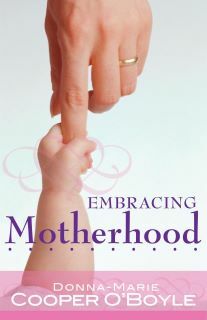 I just visited my publisher Servant Books in Cincinnati to produce an audio version of my upcoming book Embracing Motherhood which is due to be released in January 2012. It was a very interesting experience to record the audio version of the book which took a full day and part of the next. Afterwards, I was interviewed for a radio show and then was video-interviewed for a couple of book trailers for this book. I enjoyed being with all of the wonderful folks there. Stay tuned! I'll be back with more information about my upcoming book Embracing Motherhood! Donna! So glad it went well! Sounds like a very full couple of days! Yes! It went so well, Claudia! I can't wait to fill you in. I hope that all is well with you.